One of life’s great treats, for a lover of books (especially fantasy books), is to open a cover to find a map secreted inside and filled with the details of a land about to be discovered. A writer’s map hints at a fully imagined world, and at the beginning of a book, it’s a promise. In the middle of a book, it’s a touchstone and a guide. And at the end, it’s a reminder of all the places the story has taken you. The book includes the map from Thomas More’s Utopia, which when published in 1516 contained the first fantasy map in a work of fiction, as far as anyone can tell. The book also has the maps that were the objects of obsession of many a fantasy-filled childhood: Middle Earth, the mysterious Narnia, the Hundred Acre Wood, the roads Milo explores in The Phantom Tollbooth. But there are more private treasures here, too: J.R.R. Tolkien’s own sketch of Mordor, on graph paper; C.S. Lewis’s sketches; unpublished maps from the notebooks of David Mitchell, who uses them to help imagine the worlds of his books, such as The Thousand Autumns of Jacob de Zoet; Jack Kerouac’s own route in On the Road (a fantasy of a different kind, no less obsessed over). Among these maps, the one for Treasure Island is a landmark, “one of the most iconic literary maps of all,” Lewis-Jones writes. It comes up more than once in the book’s essays, which are written by authors and mapmakers. Robert Louis Stevenson first sketched the map in 1881 as a distraction for his stepson, and a red X marks the spot where the treasure was buried. For many writers, mapmaking is a practical endeavor that pulls them into their own work. “I always draw my way into stories,” writes Abi Elphinstone, the author of the Dreamsnatcher books. “I begin every story I write by drawing a map because it is only when my characters start moving from place to place that a plot unfolds.” Mitchell doesn’t print maps in his books, but he needs them to get through the writing. “If I’m describing a character’s ascent of a mountain, I need to know what he or she will find on the way up,” he writes. But also: Making maps is fun. Mapping does have difficulties. Frances Hardinge, a British children’s book writer, explains the problem of having described in her writing an island with an outline that “resembled a bird-headed biped with long fingers.” Her first attempts at mapping the place just looked wrong. “For the record, drawing something that looks like both bird-human hybrid and a plausible landmass is a lot harder than you might think,” she writes. Sometimes, Hardinge writes, the worlds she dreams up are “unmappable.” But even such stories create maps in readers’ heads. “Imaginary places can offer us new kinds of discovery,” writes Lewis-Jones. 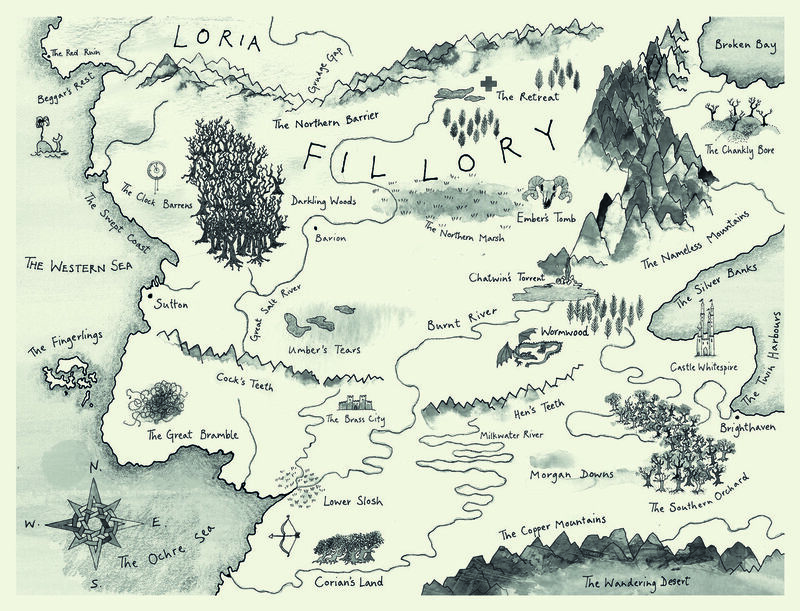 A map helps shape a reader’s or a writer’s idea of a fictional place, but ultimately its boundaries are limited only by their joint imaginations. It's not going to fit in a scanner.